So you think you’re having an identity crisis, do you? Well, today I’d like to introduce you to a creature that is certainly far more confused than you have ever been. 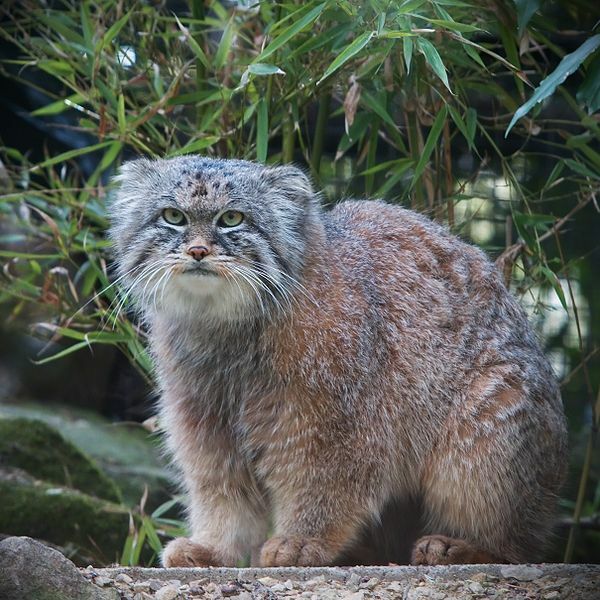 Ladies and gentlemen, meet Pallas’ Cat… or the Manul. While undeniably adorable with all that soft-looking fluffiness and the huge eyes, these little guys are pretty damn weird-looking. I mean, let’s just take a moment to study the above photograph. Firstly, I’d like you to place your hand over the lower half of its face. What do you see? A monkey, right? Or maybe a teddy bear on a caffeine buzz. Now, place your hand over the upper half of its face. What do you see now? A slightly grumpy kitty, no? Maybe a Dr. Seuss character on the loose then. Okay, now, let’s move on to this next picture. Place your hand over its head and look at that body. What is that?! Some strange sort of marsupial (but aren’t all marsupials slightly strange? I hear you ask. Yes, yes they are), a misplaced soft toy? 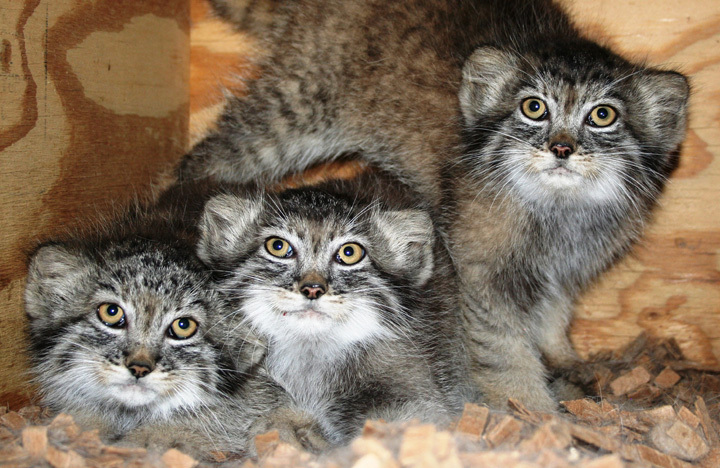 Well, the truth is the manul is generally accepted to belong to the cat family. 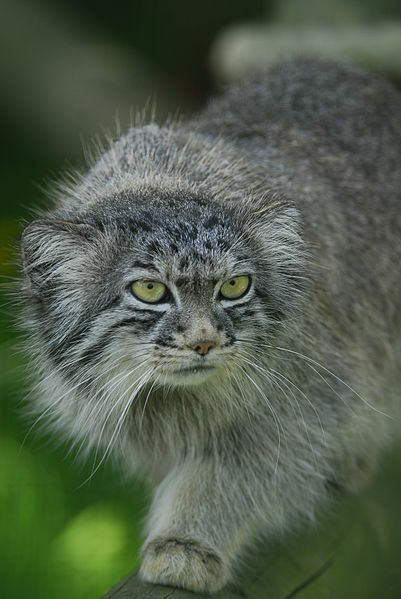 Not sure how the other felines feel about this, but guess it gives old Pallas’ Cat some feeling of belonging… if you can ignore those round pupils and the koala-like ears. 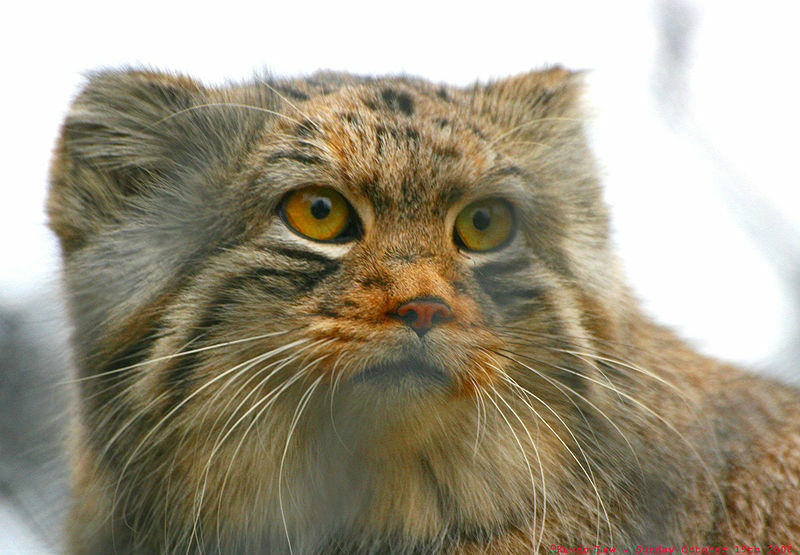 They are found in the grasslands and montane steppe of Central Asia and have been classified as near-threatened by IUCN since 2002, due to habitat degradation, prey base decline, and hunting. The species was first described in 1776 by the German naturalist Peter Simon Pallas. 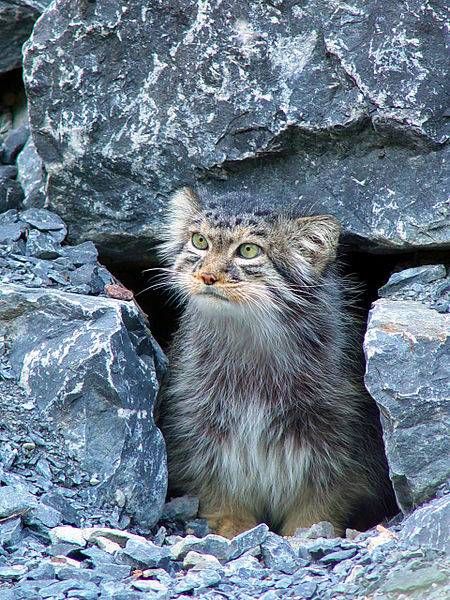 They spend the day in caves, rock crevices, or marmot burrows, and emerge in the late afternoon to begin hunting. They are not fast runners, and hunt primarily by ambush or stalking, using low vegetation and rocky terrain for cover. They feed largely on diurnally active prey species such as gerbils, pikas, voles and Chukar partridges, and sometimes catch young marmots. Alternatively, take a trip to the mountainous regions of Kyrgyzstan, Pakistan, Kazakhstan, Mongolia, Kashmir or the Tibetan Plateau… if you dare!